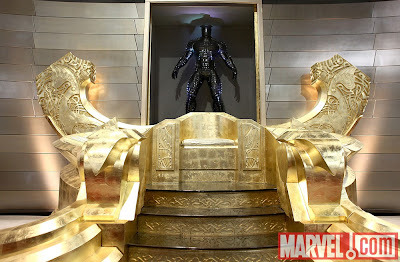 More Marvel movie madness from the San Diego Comic Con weekend! 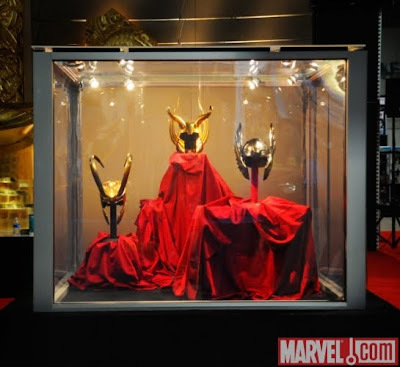 Along with the Avengers cast and Infinity Gauntlet Marvel revealed the indestructible Destroyer armor and the helmets of Odin, Loki and Thor himself. With the appearance of this Destroyer replica Marvel shows that they aren’t just making a simple origin and intro movie with Thor, it seems they intend to explore the full lore and mythology of the Asgardian Universe as well! This is truly the definition of being “geeked.” I’ll probably be bringing my Stormbreaker replica to the premier of this movie, and maybe I’ll be able to get my Thorr’s Hammer shirt in time to rock as well. Thor comes to theaters May 6, 2011.